A worldwide leader in IT peripherals, Logitech has recently announced its two latest webcams that sport a 2.0 megapixel Carl Zeiss Tessar lens to deliver better sharpness, including the Logitech QuickCam Pro 9000 for desktops and the Logitech QuickCam Pro which designed for laptop users. In addition, both webcams can capture videos in the 720p high-definition (HD) format at 960 x 720 pixels and 30 frames per second. According to Logitech, these webcams even features a less than 3 second auto-refocus time. It’s cool, right? The Logitech’s new webcams are come with a background noise cancellation called RightSound, which aimed to not only reduce peripheral sound but reduce echo as well. Rounding out the package are some “fun filters” and 3D avatars that mimic your lip movements. 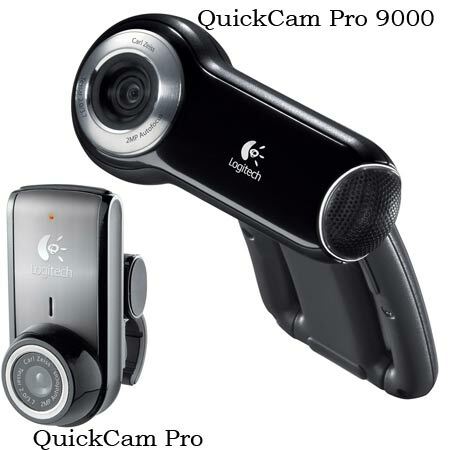 The Logitech QuickCam Pro and Pro 9000 will be available in the U.S. and Europe in July for about $100 US.